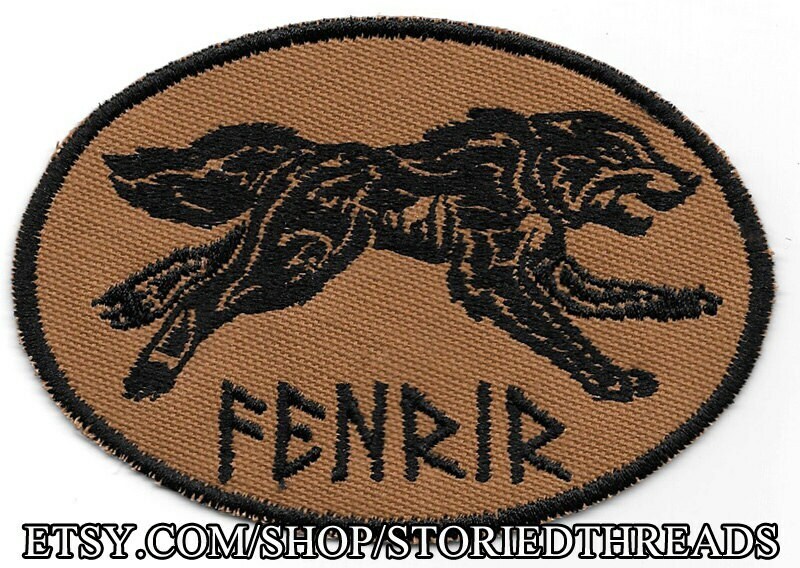 Fenrir is the great wolf of Norse mythology -- the son of Loki, and the wolf who bit off the hand of the god Tyr as sthe Aesir bound him to attempt to prevent him from playing his role in Ragnarok. He is depicted here stitched in black thread on tan cotton canvas. This sew-on patch measures approximately 4.7" wide by 3.2" tall. Design (C) 2014 Storied Threads/Veronica BaileyStandard shipping for all items is by First Class mail and does not come with tracking information. If you wish to add tracking, please ask (an additional charge may be necessary).